Valentine’s Day for 2017 has come and gone, but before we move on to St. Patrick’s day, let’s stop and take a look back at some of the funnier moments. Remember this for next year, if your boyfriend does not get you flowers, just play this little trick on him. 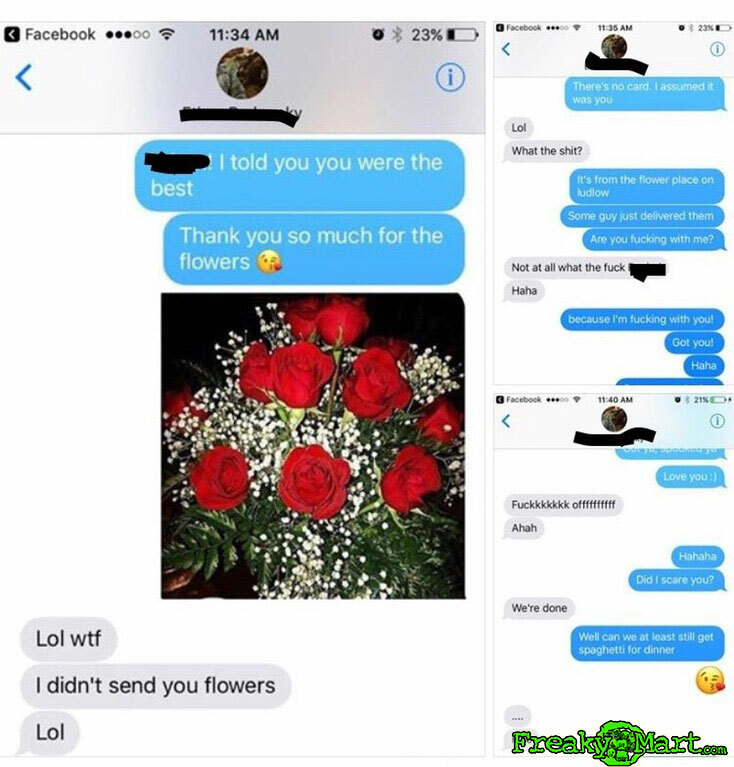 Send him a text of some nice roses and say thank you for the flowers. When he gets all concerned, say you thought it was from him. One little change I suggest is, to not tell him you are messing with him. Let it stay like that for a few weeks, and see what happens.